Millions of tourists a year pass through the amazing streets and squares of Rome, which testify to the emergence and development of a civilization. It will take you months to see all of Rome because, at every step pops something new and interesting, which brings a long history. Good to know is that the queues for the Colosseum, the Roman Forum, History Museum and the Museum of the Vatican are literally miles. The Vatican Museum has people piling up before it leaving a tail shape of about 3-4 km long. 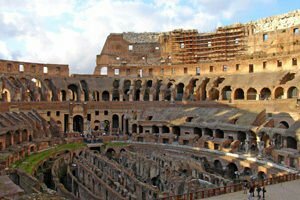 One of the symbols of Rome is the Colosseum, however, the reality is not so beautiful and brilliant as we are accustomed to seeing on postcards and movies. The Colosseum is located near the palace of Nero - "Domus Aurea", which was built after the burning of Rome in 64. However, this building remains the monument of Rome. The once pretty Colosseum now stands deteriated; one must often rely on their imagination to imagine how spectacular the view was of this place in antiquity. There is no way to miss the Arc de Triomphe and the Emperor Constantine I, which is located next to the Colosseum. The Colosseum is most famous for the most extensive and most magnificent of the amphitheaters of ancient Rome. This colossal historical monument was started by Vespasian and completed by Titus in 80 AD. The name Colosseum was given during the 8th century because next to it already was the legendary, Neronov colossus. This statue was reconstructed later by the heirs of Nero, which made it a statue of Sol - the sun god by adding an appropriate solar crown. Archaeological studies in the territory of the Coliseum show the remains of many buildings from that era, located near and around the amphitheater. It is known that these buildings were confiscated and destroyed after 64, when Nero decided to build his residence there, including a pond, many domestic buildings and gardens, which are known by the texts of ancient authors. Called Amphitheatre of Flavia (Amphitheatrum Flavium) or also Amphitheatre Caesar (Amphitheatrum Caesareum), the Colosseum was built by Flavia at the beginning as a gift to the Roman citizens. The construction of the amphitheater took ten years. In the beginning the amphitheater due to the Roman discovery held games, including fights between animals (venationes), killing of prisoners by animals and other executions (noxii), naval wars (naumachiae, by flooding the arena) and battles between gladiators (munera). It is estimated that about 500, 000 people died in those games. At the opening of the Colosseum in 80 AD, the games lasted 1000 days, were more than 5, 000 animals including elephants, tigers, lions, elk, hyenas, hippos and giraffes were killed. 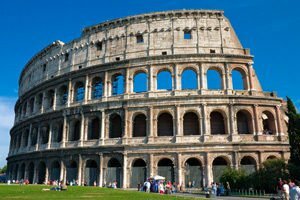 The Colosseum continued to be used for four and a half centuries and during this time it was repeatedly rebuilt and repaired. The Arena of the Colosseum is where the performances were held including the gladiatorial games and hunting scenes. 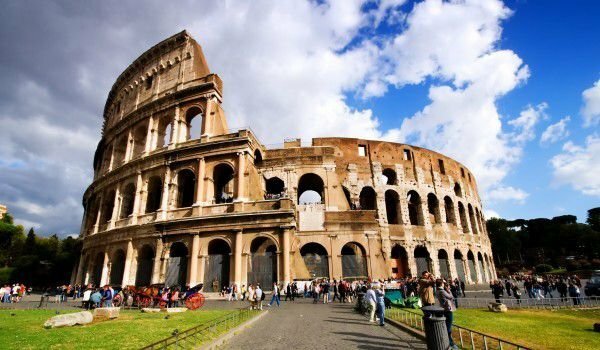 Even after so many centuries, the Colosseum in Rome is still considered one of the most precious ancient monuments on earth.